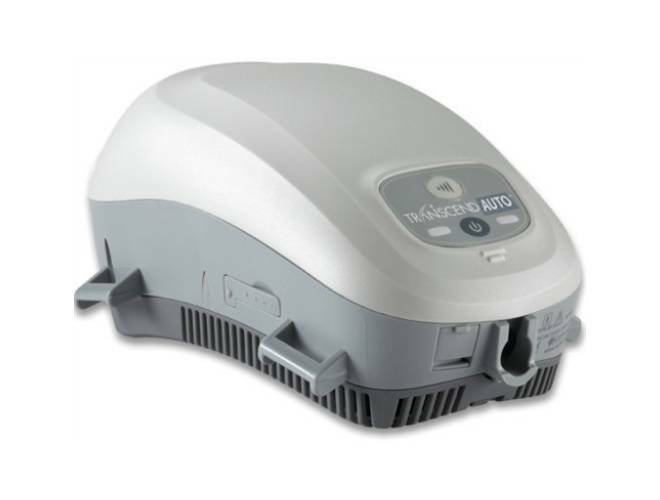 Travel CPAP machines provide sleep apnea patients with a real-world solution to sleep therapy on the go. 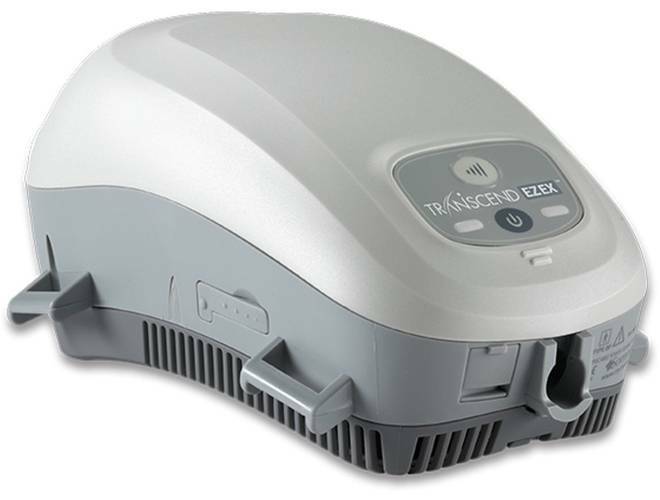 Compact travel CPAP machines deliver the performance and advanced features found on many full-sized CPAP machines but in a portable, travel-friendly package. 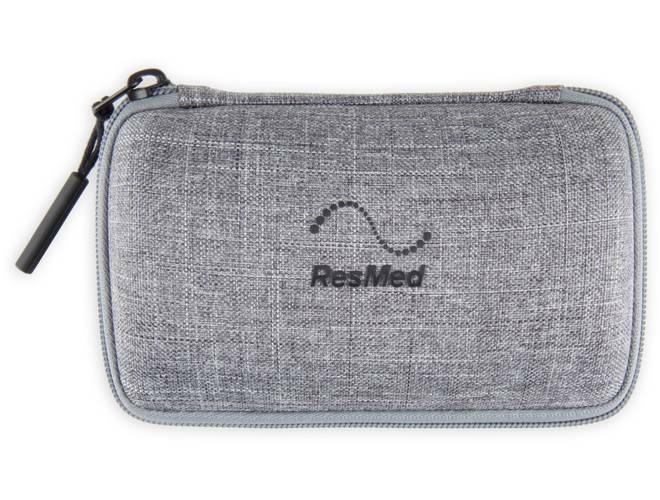 Secure your CPAP and protect it on-the-go! 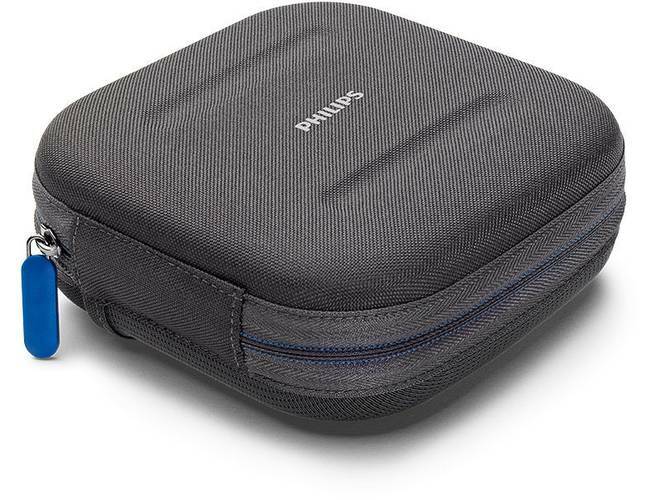 This case was designed specifically for the DreamStation Go with no wasted space. 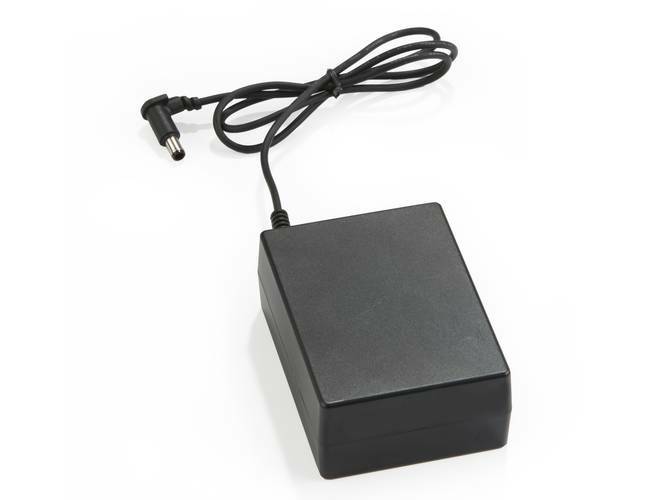 Planning on traveling off the power grid? 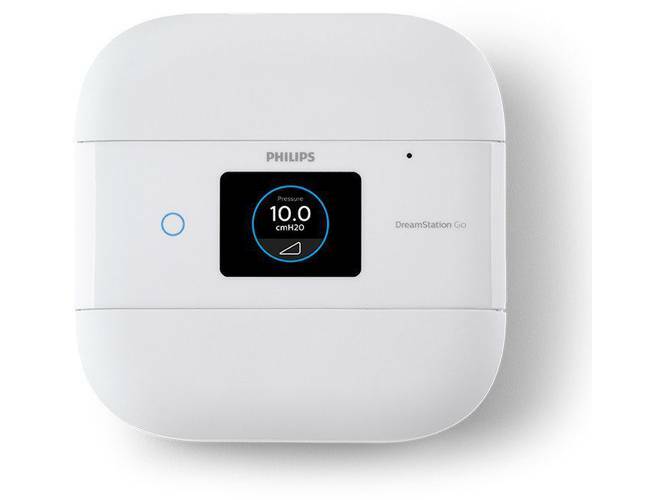 FAA approved DreamStation Go’s Overnight Battery can help you stay committed to your sleep therapy. 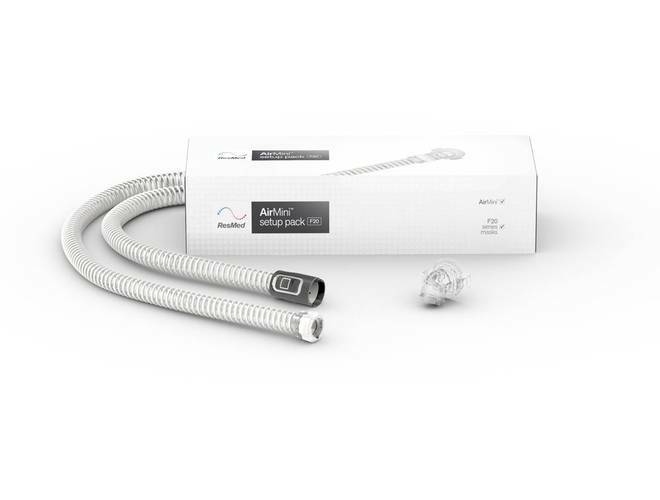 The AirMini™ N20 setup pack connects your AirMini to a ResMed N20 CPAP nasal mask. 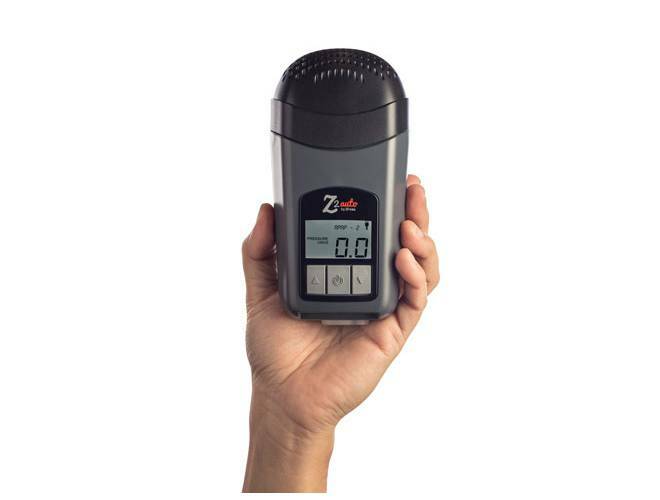 It includes an N20 mask connector, tubing and waterless humidification - HumidX™ for average conditions and HumidX™ Plus for dry conditions, including aircraft cabins. 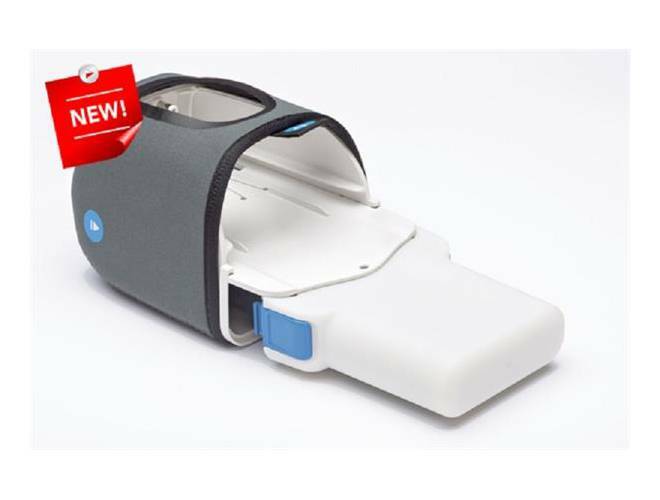 Mask is not included. 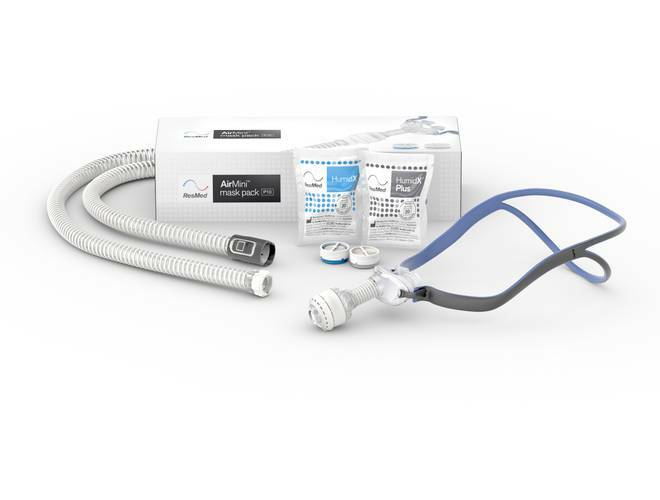 The AirMini™ F20 setup pack connects your ResMed AirMini™ CPAP to an F20 full face mask. 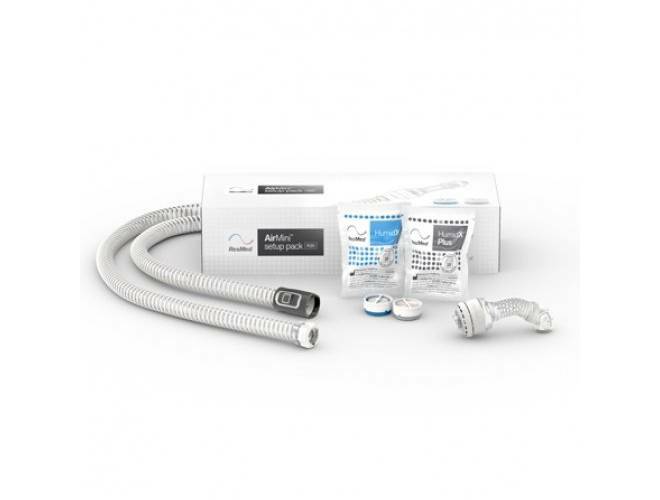 It includes an F20 mask connector and tubing. 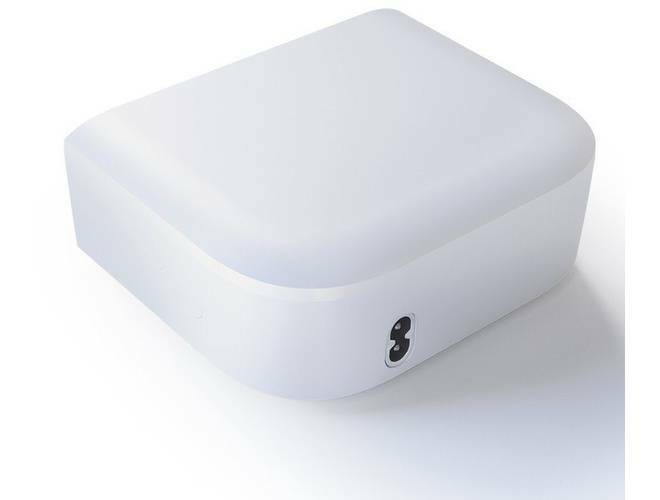 Mask is not included. AirMini™ AutoSet™ Travel CPAP Machine with N20 Setup Pack - AirMini™ is the world’s smallest CPAP, packed with proven ResMed technologies and features, like waterless humidification, designed to deliver a quality therapy experience anywhere. 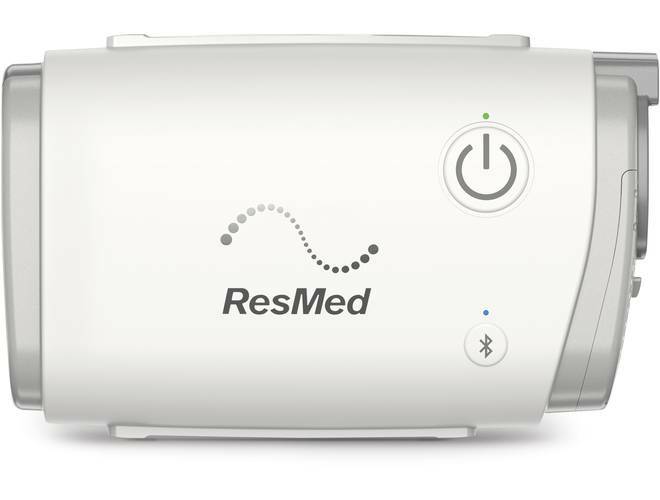 CPAP therapy for travelers has never been easier thanks to advances in sleep therapy equipment. 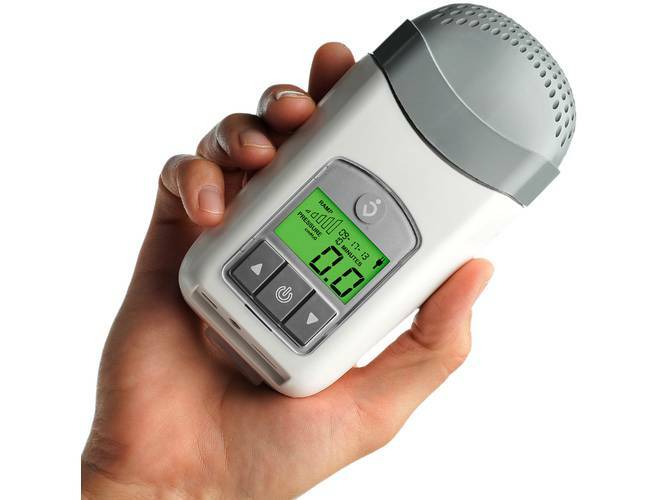 Modern travel CPAP machines are so compact and lightweight that they are literally handheld devices. 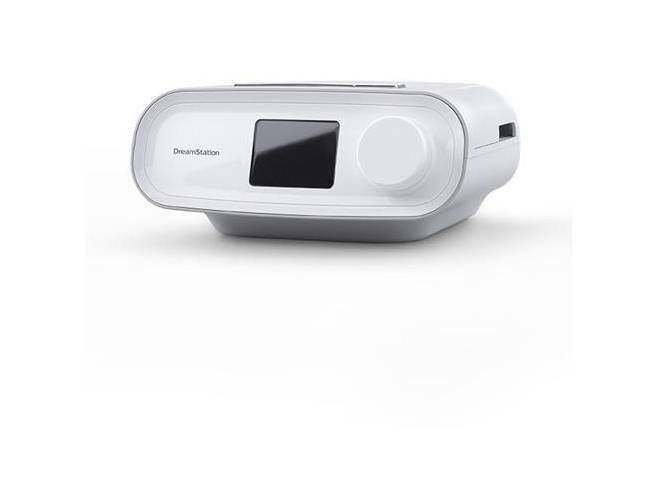 These mini travel CPAP machines are complemented by travel-friendly accessories, including external battery power sources that make cordless, off-the-grid sleep therapy a real-world reality. 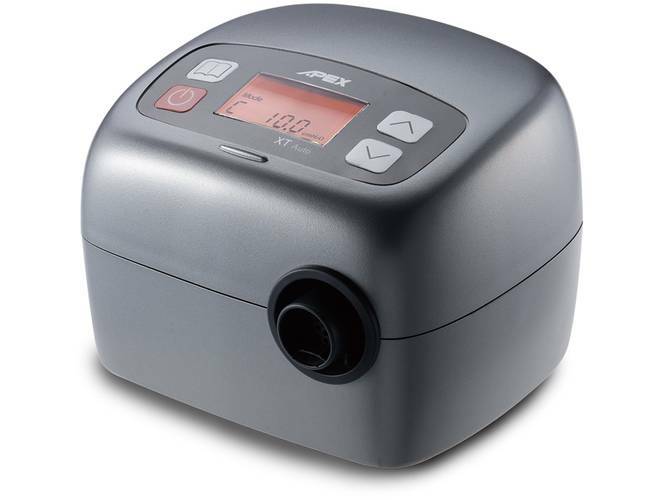 And the small size of travel CPAP equipment doesn’t equate to small performance either, as most travel CPAP machines offer the same advanced features found on full-sized machines, including auto-adjustable pressure APAP machines. 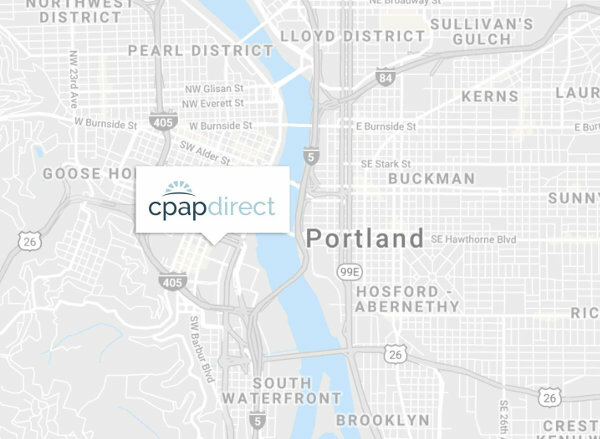 It’s a wild world out there for travelers, but you can rest a little easier knowing there are travel CPAP solutions available. 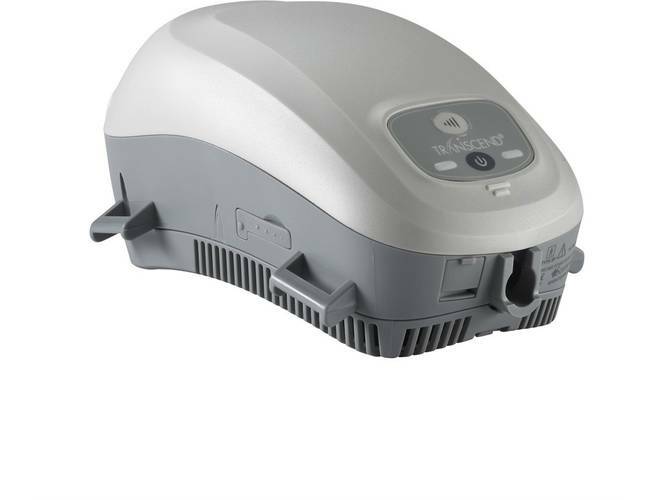 Enjoy the benefits of sleep apnea therapy on the road when you purchase travel CPAP equipment from CPAP Direct.